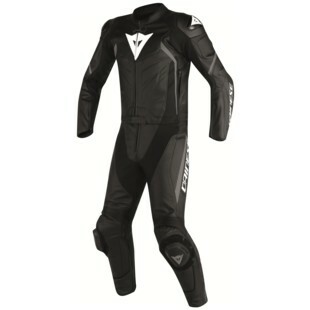 Dainese has raised the 2-piece race suit bar yet again. With the new Dainese Avro D2 Two Piece Race Suit you retain all the great features of the D1, but with a few key improvements. Extra stretch has been added in key areas. The knee, crotch, arms and back now have additional stretch panels that greatly improve rider comfort and mobility. In addition, the suit comes with a greatly improved Silver Ion antimicrobial liner and Pro-Shape hip armor. Most hip armor is too bulky to be worn during truly spirited rides, but not Dainese Pro-Shape. It has the flexibility to be worn for a full day or canyon or track carving.